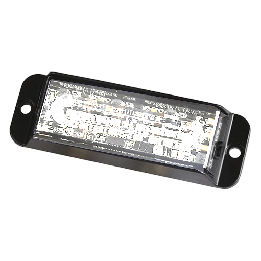 What kind of Amber/White Strobe Lights are you looking for? Get your police or emergency vehicle noticed with an amber and white LED light bar. Give civilians a heads up warning with our noticeable light combination. Brilliant white LED light gets your vehicle noticed in even the worst weather. Amber alerts for caution. An unbeatable combination for alerting the public. Our amber and white LED light bars, like all our LED light bars, allow you to set color combination as well as flash intervals. Add visibility with our strobe lights.